Flatliners Pest Control provides pest inspection services in Las Vegas for residential and commercial customers. Our technicians are licensed and experienced in pest management, elimination, extermination, and prevention. From cockroach infestations to home inspections for termites, or rat removal, we do it all. So when you need reliable pest inspections from a company that values your property, family, and your health, call the team at Flatliners Pest Control. If you’re looking to eradicate any potential property concerns before a sale or purchase of a home, a pest control inspection is a top priority when it comes to real estate in Las Vegas. Termite inspections are one of our specialties. Our climate is conducive to numerous pests, from the aggressive fire ants and wasps to the invasive cockroaches and destructive termites. Get in touch to order your Termite Inspection today. Don’t let a major transaction fall through due to preventable pest infestation. Our pest removal service also expands to cover insects such as Cicadas, Earwigs, Silverfish, Wasps, and even Vinegaroons. Whatever creepy crawly you’re faced with, our pest management team is equipped to combat it. Bugging Out? Get Relief Today. If your home is being taken over by insects or rodents, don’t risk waiting for the infestation to spread. Contact us immediately, and we’ll dispatch our team to tackle the problem. We address every area inside and out to eliminate any bugs and prevent them from coming back. Keep your home for yourself and keep those unwelcome pests at bay. 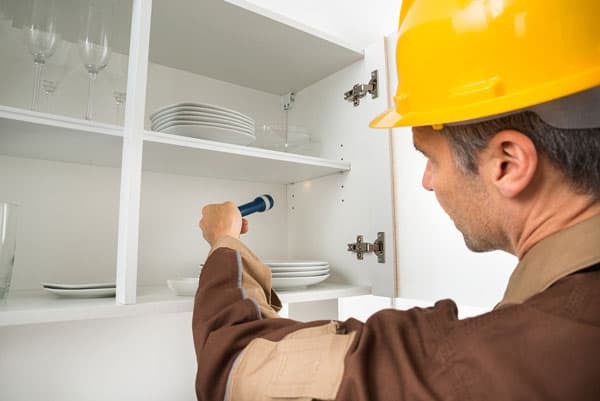 Flatliners Pest Control is committed to providing the residents and businesses of Las Vegas quality pest control with an unmatched level of customer service. All of our products are safe for the environment, and our technicians are fully licensed and insured. Choosing a pest control company can be a difficult process, but it doesn’t have to be. If you’re looking for an exterminator that will take care of your pest problem and prevent them from coming back, Flatliners Pest Control is the only choice. We take pride in being a step above the rest in quality and ensuring your home or business is bug-free with no long-term contracts, just results. Contact us today to hear our current specials, and we’ll show the difference professional pest management can make.